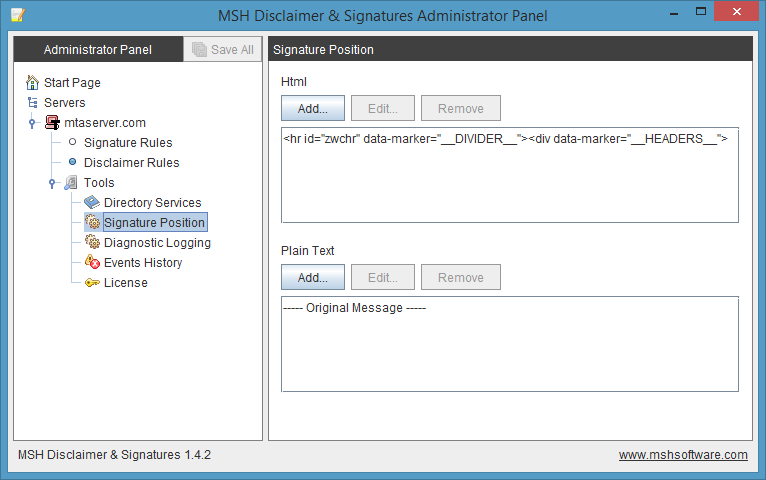 MSH Disclaimer & Signatures inserts signatures and disclaimers to e-mail messages that are processed on the mail server. 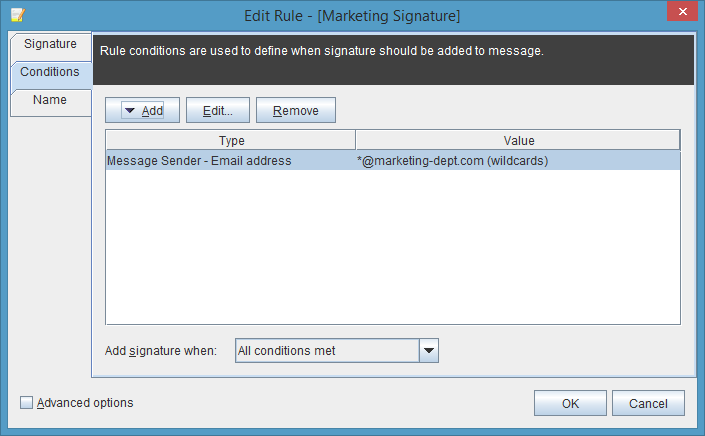 Create personalized signatures and insert them under reply with with contact details taken from directory service. 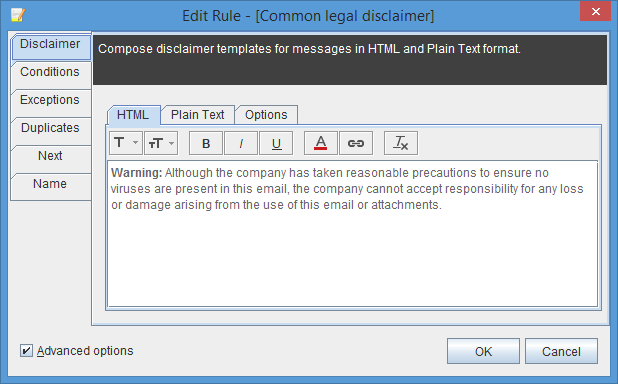 Append disclaimers with legal information, warnings about unknown or unverified e-mail senders, or for other reasons as determined by an organization. 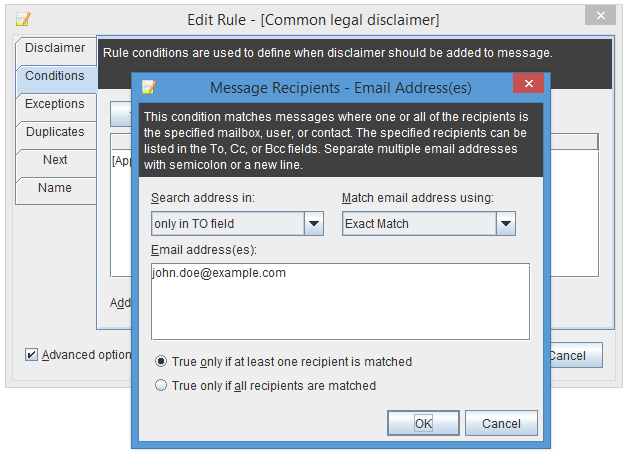 Application lets you control and manage email signatures and disclaimers across your entire organization and enforce your corporate identity and brand on all outgoing emails. 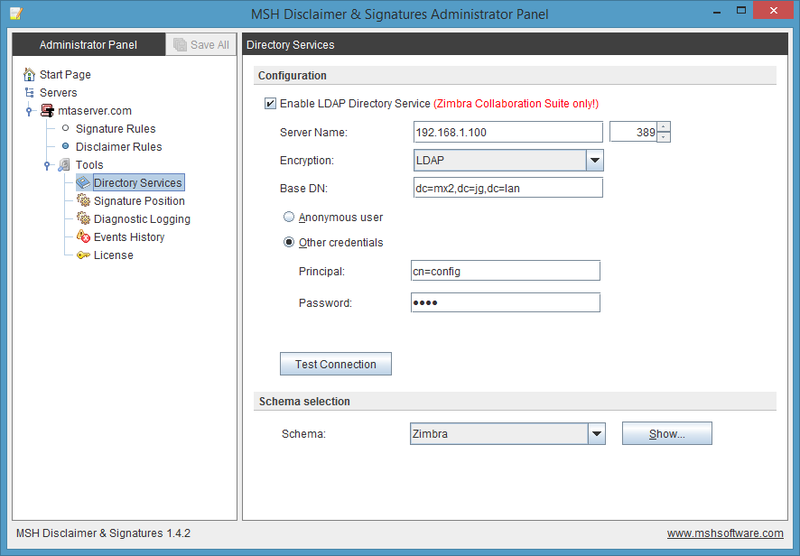 MSH Disclaimer & Signatures is licensed on a per server basis for Zimbra, Postfix and Sendmail. You need to purchase a license for each server that the product will be installed on. Prices are shown in USD and do not include VAT. You can also test the application for free for 30-days without any limitations, just drop us a line to contact@mshsoftware.com and we'll as soon as possible send you a trial license key. 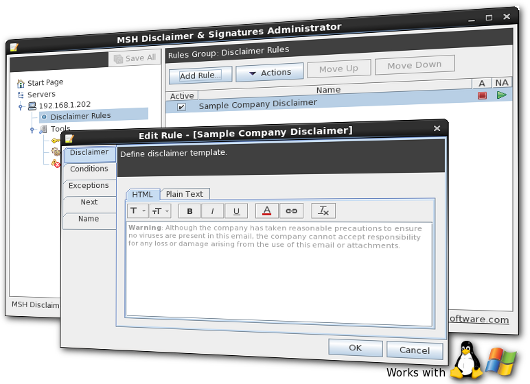 After purchasing MSH Disclaimer & Signatures license, the license activation key is sent by email with instructions on how to apply it. 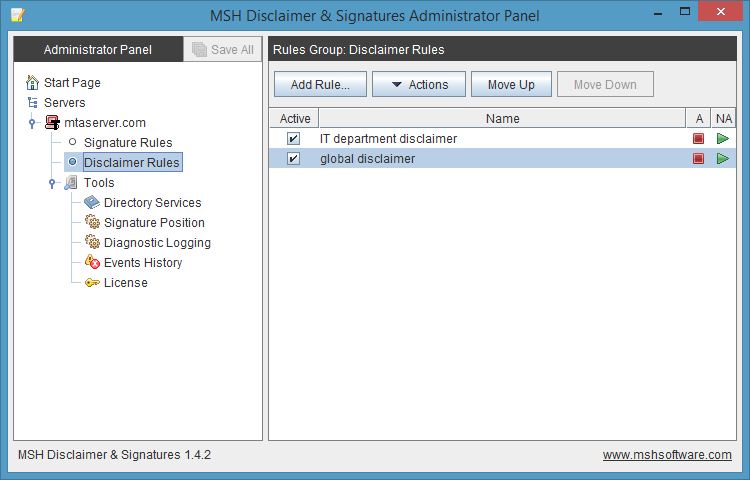 Click the following link to open MSH Disclaimer & Signatures documentation. If you have any questions or suggestions please do not hesitate to contact us on contact@mshsoftware.com. 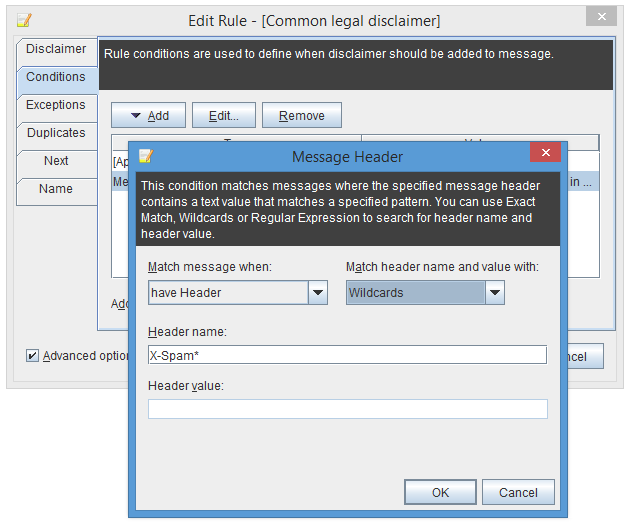 After installation application will be working in demo mode, templates will be added to messages which are sent from max 10 different senders. 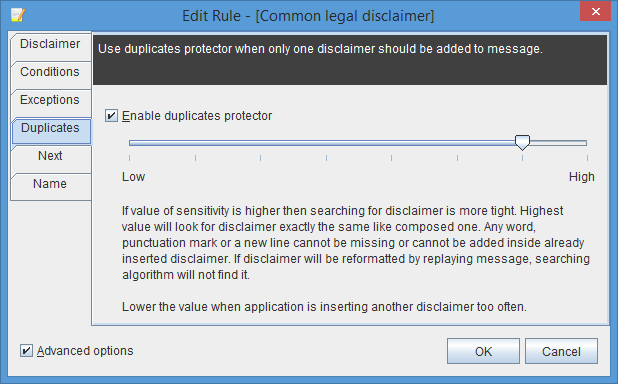 In the desktop application user can define only one rule.